Torn Banner Studios, creators of Chivalry: Medieval Warfare, will today officially launch the Closed Beta for their upcoming magic ‘n melee multiplayer combat game Mirage: Arcane Warfare. Starting today at 10 a.m. PDT, players who pre-order Mirage: Arcane Warfare get instant access to the Beta, which is live until close to the game’s release date. Plus, Chivalry owners get 10% off. Beta players will experience the most complete version of Mirage: Arcane Warfare to date - under no Non-Disclosure Agreement; all broadcasting is allowed. 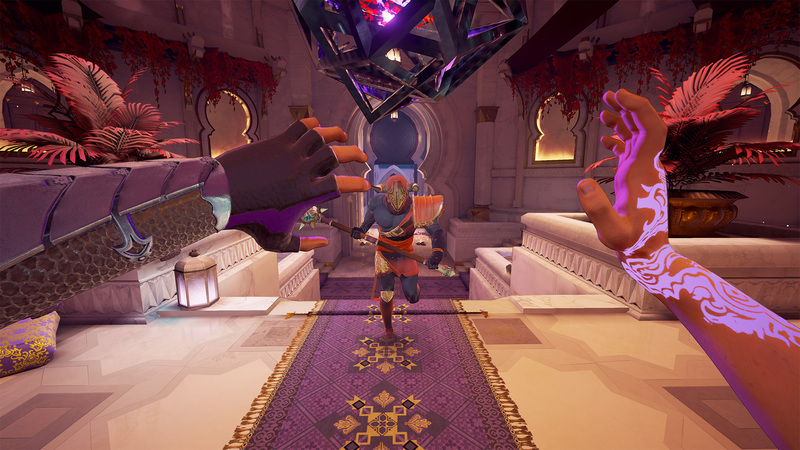 Featuring all six character classes and two tiers of swappable magic abilities, the Closed Beta will rotate periodically through a total of eleven different environments and five gameplay modes. Players will also be introduced to a new character called the Entropist, a burly mage with a penchant for bar fights, wine and vulgarity. He can heal allies and summon a flying carpet - see his reveal in the final moments of the Walkthrough trailer.